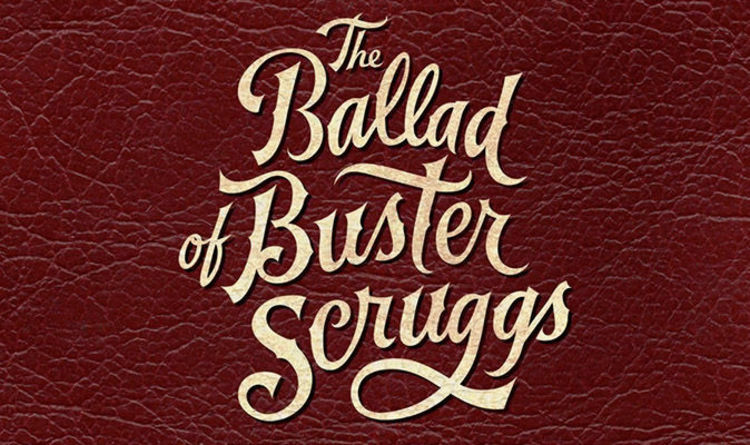 With The Ballad of Buster Scruggs, The Coen Brothers have proven themselves once again to be inimitable storytellers, able to craft a universe in so much detail that you are instantly immersed. Told in six separate vignettes, The Ballad of Buster Scruggs illuminates different points in time and different points of view in the ‘Wild West’ of America. From the cowboy to the gold prospector to the Oregon Trail, Buster Scruggs moves easily through a world which has become memorialised in popular culture. Each story exists in a vacuum, with the characters never overlapping despite their shared scenery. The Ballad of Buster Scruggs is a well crafted, if narrow, anthology about life in the West, with a hefty gloss of cinema-magic. The landscapes and cinematography do almost as much work as the actors in making each story come alive. In the first titular story, Tim Blake Nelson plays the fastest gun in the west – a man by the name of Buster Scruggs into whom Nelson so wholly disappears you expect him to speak in that western drawl out of character. While in Meal Ticket, Harry Melling and Liam Neeson manage to craft a tense relationship between two characters so dependent on each other, where the balance of power is constantly on the tipping point. Meal Ticket is one of the stronger vignettes, though Neeson and Melling never speak to each other. There is no obvious threat of violence in Meal Ticket the way there is in Near Algodones. But the stakes are far higher and the tension palpable thanks to the subtle, but taught, performances from Melling and Neeson. All Gold Canyon is one of the quietest, but most moving, of the six stories and stars Tom Waits as an unnamed gold prospector, battling the elements to make his fortune. The audience lives each day with him, breathes the fresh air with him and listens to the wind rattle the leaves with him – and when he strikes gold, the audience rejoices with him. In Tom Waits’ own quiet way, he draws you into the landscape with the same reverence and respect he himself has. Plus, there’s the added bonus of listening to him sing. But while overall the film was wonderfully crafted and enjoyable, when the two hours and twelve minutes come to an end, it’s hard not to feel that you wish the Coen brothers had turned the kaleidoscope to offer another perspective. Of the six, the weakest story is Near Algodones – one of only two stories to feature Native Americans, a decision at which one cannot help but quirk a brow at in confusion. The story of the American frontier is so inextricably linked to the ethnic cleansing of the country that for the Coen brothers to not only gloss over it but to also paint the Native Americans solely as bloodthirsty scalpers feels misplaced in 2018. Of course, the Coen brothers are under no obligation to tell any other story than the one they feel ready, and able, to tell. But for a film built on six separate stories, the feeling of missed opportunity lingers. And though some might be able to gloss over their decision as artistic license, which it is, there feels a level of wilful ignorance that turns harmful in the patterns it perpetuates – that the only stories worth telling are told by, and are about, white men. The Coen Brothers do give us one focussed female point of view in Zoe Kazan’s story, The Gal Who Got Rattled. Zoe plays Alice Longabaugh, who is heading west with her brother and seems out of place on the Oregon Trail. But her innocence is not naivety and though she frequently has to ask for help she never seems helpless – there is a solidness to her character and it grounds her in reality. Her blossoming relationship with Bill Heck’s character, named Billy Knapp, is quiet, intimate, and wonderful – and when the two finally share their first names, it comes with all the passion you would expect of a long-anticipated kiss. Which makes her fate all the more distressing, with the reemergence of Native Americans as cold-blooded killers of innocent people. The Gal Who Got Rattled illustrates how precarious life was on the Oregon Trail, and together Kazan and Heck (like Melling and Neeson) craft a complex relationship in such a short period of time that their performances are to be commended. Finally, The Mortal Remains takes us into the lives of bounty hunters, played by Jonjo O’Neill and Brendan Gleeson, whose giddiness in their trade is contagious. The other characters in The Mortal Remains are simply Lady, Frenchman, and Trapper, but their debate about intimacy, godliness, and morals is so well articulated you almost don’t want the carriage ride to end. The Ballad of Buster Scruggs is now playing in select cinemas and is available worldwide on Netflix from November 16, 2018. Thanksgiving 2018: Does Canada celebrate Thanksgiving? When does Thanksgiving fall?